Deciding on my favorite movies from any year is tricky, but it's even tougher when it goes back to my childhood. I was 10 years old in 1986, and it's impossible to separate the films I love from what engaged me at that time. There are some new additions that I caught recently, but the top picks hearken back to the late '80s. Even so, I'll stand by this list (no pun intended) as representing a strong group from a solid year. Other options were Ferris Bueller's Day Off, The Fly, The Color of Money, Manhunter, and The Karate Kid Part II. I could argue with any of these making a Top 5 List, except maybe the last one. The sweet sounds of Peter Cetera do make it a contender, however. I haven't seen Children of a Lesser God, Down by Law, The Name of the Rose, and River's Edge, so those might also be worthy contenders. Let's check out the list and see what made the cut! I didn't see this charming Rob Reiner movie until this past January, and it's sad that it took me this long. The coming-of-age story doesn't feel dated and chronicles that time right before reaching young adulthood. There's a definite nostalgia to this film, especially due to its framing story with Richard Dreyfuss looking back on his adventures in the late '50s. The talented young cast includes River Phoenix, Kiefer Sutherland, Jerry O'Connell, Wil Wheaton, and John Cusack, among others. Adapted from the Stephen King short story "The Body", Stand By Me will continue to be discovered by new generations for years to come. My friends and I were big fans of both the Star Trek TV series and movies growing up, and one of the main reasons was this highly entertaining time travel movie. The "fish out of water" story combines wonderfully with the sci-fi elements to deliver a surprisingly funny story. It's clear that William Shatner, Leonard Nimoy, and the entire gang knew each other so well that they're able to have more fun this time around. The Earth may be at risk from a mysterious probe, but the stakes never feel too serious. Even the oddball solution of using humpback whales to save the day works because we're engaged with the main characters. This enjoyable movie has showed up on several previous lists for me, and I doubt this is the last time it will make an appearance. Oliver Stone's recent output like World Trade Center and Wall Street: Money Never Sleeps may have diminished his standing as a top-notch director, but it's hard to deny his talent. 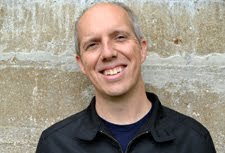 One of his best films is Platoon, a personal project for him based on his time in Vietnam. Back when he was more than a bad punchline, Charlie Sheen brings the right level of innocence to Chris, who struggles to figure out the right way to deal with the chaos. Sergeant Barnes (Tom Berenger) and Sergeant Elias (Willem Defoe) offer different points of view about the emotional state needed to survive. As their conflict builds, Stone conveys the grand mess that just keeps getting crazier as the story progresses. Woody Allen has directed so many great movies, and there's a pretty large group that you could place near the top of the list. One of my favorites is definitely Hannah and Her Sisters, which combines drama and humor in a realistic fashion. 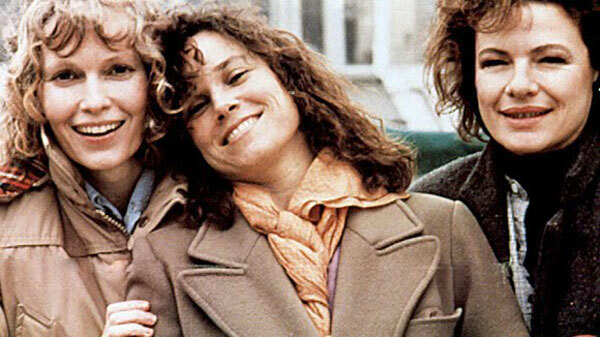 Allen's character shifts more to the background, and the three female leads (Mia Farrow, Dianne Wiest, and Barbara Hershey) take the center stage. The entire cast is excellent, including Michael Caine in a tricky role of lusting after his wife's sister. Sometimes forgotten amid the raves for Annie Hall and Manhattan, this movie stands right with them and deserves the same level of attention. What more can be said about this movie? Given all the attention on the franchise after Prometheus, there's little more that I can write about this excellent sequel. 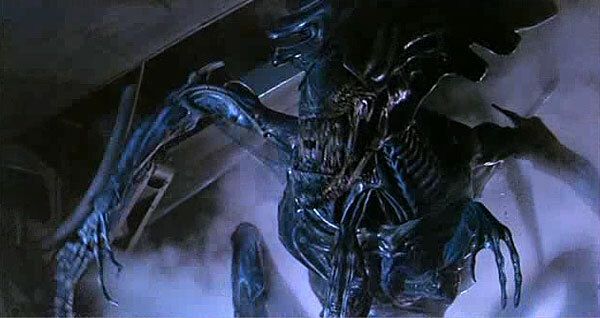 James Cameron incorporates his own style into the series and transforms Ridley Scott's vision into a military conflict. This time it's war. While a few flaws show up after repeated viewings, Aliens remains a powerful action movie that packs a mighty punch. The editing from Ray Lovejoy (The Shining) is pitch-perfect and sells the epic scale. When many people think of the series and Sigourney Weaver's iconic Ripley, it's this movie they remember the most. I slightly prefer the original, but that takes nothing away from this remarkable success. John Carpenter's offbeat adventure is an underrated gem that deserves a lot more attention. Kurt Russell spoofs the blustering action hero while his buddy Wang Chi (Dennis Dun) saves the day. While it's easy to dismiss the over-the-top story, that wouldn't give enough credit to Carpenter and his star. The tongue-in-cheek approach works much better than expected and offers consistent entertainment. I can't say enough good things about this clever genre mishmash. Kim Cattrall, James Hong, and Victor Wong join the fun, but this is Russell's showcase. He seizes the opportunity and shines within Carpenter's excellent framework. I'd love to hear your thoughts about this list. Should The Golden Child or Crocodile Dundee make it? You should also check out the archive of past Top 5 Lists if you've missed them. 1986 was a fantastic year... mostly because I was born that year. But it's also a fantastic year for movies, as well. I'd have to put my #1 as, of course, Little Shop of Horrors. But besides some that you mentioned, this is also the year of Howard the Duck! Seriously though, Three Amigos and Top Gun are two you didn't mention, as well. Though my Top 3 would probably be 3) Aliens, 2) Big Trouble in Little China, and 1) Little Shop of Horrors. Nick, I only saw Little Shop of Horrors a while back. I don't remember it that well, so I definitely need to revisit it. I'm sad to admit that I haven't seen Howard the Duck. I plan to do a marathon of notorious flops at some point, and that would have to be on there. I like both The Three Amigos and Top Gun. I just ran out of space. I remember loving Children of a Lesser God when it came out. I have no idea of how it would hold up today. 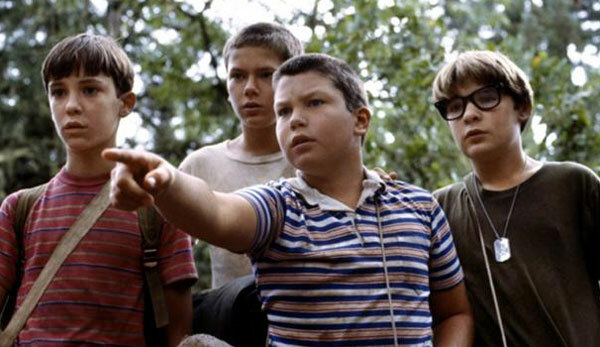 I also have very fond memories of Stand by Me and I can imagine that one is still as good. It would certainly be on my top 5 list. So would Hanna and her sisters. And Aliens. And The name of the Rose. Jessica, I'm interested in seeing In the Name of the Rose; it sounds like a cool premise. Plus, it's hard to go wrong with Connery. I haven't thought much about Children of a Lesser God, but I saw that it did very well at that year's Oscars. I know it was a star-making vehicle for Marlee Matlin. I'll have to keep it in mind for some point in the future. Great choice for number 1. 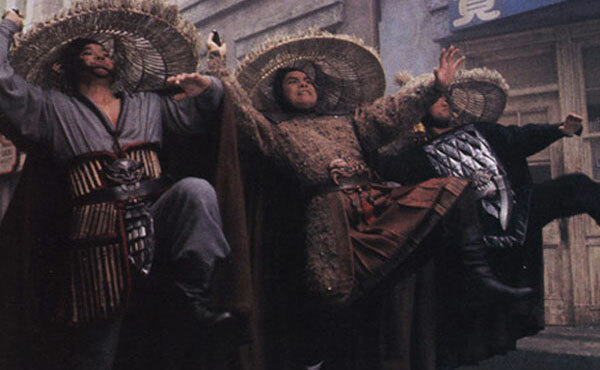 I just rewatched Big Trouble in Little China a few months ago and it's still awesome. Thanks Dave! Do you have the DVD? The commentary from Russell and Carpenter is one of my favorites. They go on all types of random tangents. Solid list. The other options you mention like The Color of Money were considered too. I saw Big Trouble in Little China in the theaters when I was a kid, and I'm a also a big fan of Carpenter and Russell. So it's hard for me to look at it like I might if I was watching it for the first time now. Thanks! 1986 was a quality year. I'd have a tough time choosing between Platoon and Aliens for the number one spot. Reckon I might have to squeeze out Star Trek for Top Gun! Pete, both Platoon and Aliens are worth being in the top spot. It wasn't an easy choice! While I prefer Star Trek, I don't have a big problem with Top Gun being in there. It has its own charm. Thanks! Great list. I hate to say it, but I have never seen Platoon. I know it's suppose to be a classic,but I haven't been in the right frame of mind to watch that one just yet. It's cool. 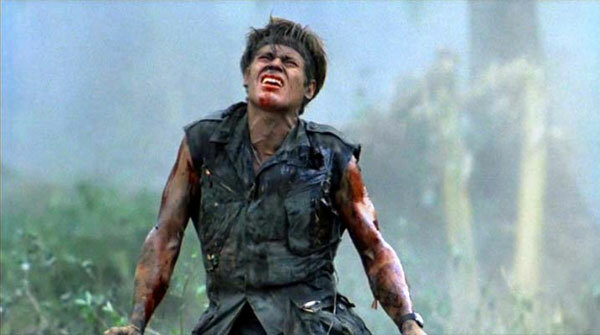 I haven't watched Platoon in a long time, and it isn't really a movie to revisit often. I do think it's worth seeing at least once, though. It's one of Stone's best movies. The one I agree with most here is HANNAH, always been a favorite Allen for me. No BLUE VELVET? I saw Blue Velvet a while ago, and I was disappointed. I think my expectations were too high, and certain parts bugged me. I really need to revisit it and give it another shot. Ferris Beulle would be an easy number 1 for me. It's one of the biggest laughs I've had in my entire life. No arguments from me on that pick. It's great fun and still holds up really well.